Several regions of the world are currently coping with severe weather-related events: flash floods and widespread flooding in large parts of Asia and parts of Central Europe while other regions are also affected: by heatwave and drought in Russian Federation, mudslides in China and severe droughts in sub-Saharan Africa. 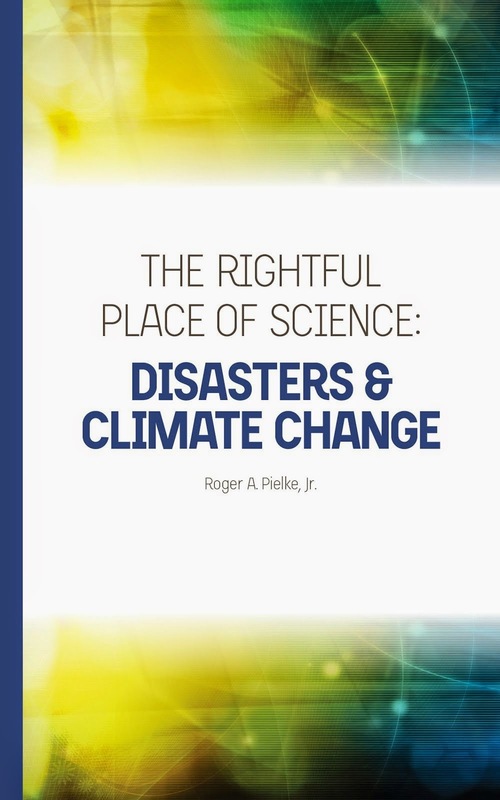 While a longer time range is required to establish whether an individual event is attributable to climate change, the sequence of current events matches IPCC projections of more frequent and more intense extreme weather events due to global warming. Even though the IPCC report can be parsed in many ways, I await the textual exegesis that supports the claim that the "sequence of current events matches IPCC predictions." This will be difficult given that the IPCC didn't even make projections for 2010. I welcome in the comments efforts to justify the claim by the WMO. I am coming to the conclusion that there is something about the climate issue that makes people -- especially but not limited to academics and scientists -- completely and utterly lose their senses. The WMO statement is (yet) another example of scientifically unsupportable nonsense in the climate debate. Such nonsense is of course not going away anytime soon . But because various unsupportable and just wrong claims are being advanced by leading scientists and scientific organizations, it would be easy to get the impression that on the issues of extreme events and climate change, IPCC science has a status similar to interpretations of Nostradamus and the Mayan calenders.